Many of you will be participating in NaNo beginning November 1. This repost comes from October of 2009, on the eve of my very first NaNoWriMo. Although, I no longer participate in NaNo, I encourage every writer to try it at least once. After my second NaNo (and second win), I realized it took me far longer to “fix” NaNo generated copy than it would to start from scratch. I’m not a quantity writer, and gushing words isn’t my process. The important thing? I wouldn’t know this about myself if I’d never participated in NaNo. Apart from a few updated links, the post below is just as it appeared seven years ago. Since this will be my first NaNo, I’ve been cruising blogs and the web for tips on how best to negotiate the process. There are plenty of resources on the NaNoWriMo site, but that’s only the tip of the iceberg. Check out Marelisa Fábrega’s blog post: How to Write a Novel in 30 Days. Marelisa has links to character building worksheets and offers a great overview of what goes into a compelling novel. 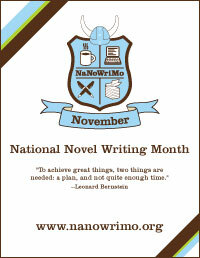 Storyist Software has a page titled Getting Ready for NaNoWriMo by many-time Wrimo, Steve. He offers some solid advice. I’ve never used Storyist, so I can’t comment on the software, but Steve’s prep page is stellar. Two other helpful articles: Writers Digest’s 30 Tips for Writing a Book in 30 Days, and Nicole Cook’s Ten Tips for Getting to 50,000. Now, for a few of my own tips. For idea inspiration, check out Seventh Sanctum. It’s an awesome website crammed with free generators for everything from settings and story lines to characters and beyond. I love the name generator. And for future reference, the site offers writing challenges. I’m guessing NaNo is probably challenge enough to take most of us through November. If you are working with series characters, you’ve no doubt already developed detailed character profiles. Want to add depth? Check out James Lipton (he of Inside the Actor’s Studio fame), Bernard Pivot, and/or Marcel Proust’s questionnaires on SenseList. So, what would your protagonist like to hear God say when s/he arrives at the Pearly Gates? My last tip deals with software. If you’re a writer and not using Scrivener, you should be. There’s a special NaNo demo version with a temporary license that runs through December 7. Download the program, use it for free through NaNoWriMo. If you decide you love it (I predict you will), it’s 20% off the uproariously low price of $40 PC/$45 Mac. And if you win NaNo? 50% off! And no, I do not work for Literature and Latte, but great software is great software. have any last minute tips, tricks, or websites you’d like to share with first timers? Still great advice no matter how many times it’s reposted. Seem like NaNoWriMo is an excellent experience for anyone who wants to be a writer giving them that extra push as well as great help for established writers. It is, Mason. Everyone should try NaNo at least once. It is good to do for many indeed as it keeps them motivated and does show them things. For me it is just meh though as I can write that in a week, as long as life doesn’t get in the way. I wish I had half your productivity, Pat! Good luck to all those who participate. Indeed, Holly. It’s a serious commitment. I don’t do NaNo because like you, that’s not my process. But good luck to those who do do it. I know it works for others. While I kind of wish NaNo were my process, I seem to be the antithesis of the NaNo writer. Glad to hear I’m not alone, Liz. VR, thanks for this. I’ve checked out those links. Awesome…for later digestion. I’ve done NaNo at least 5 times and have 5 crappy, unfinished novels taking up space on my hard drive, but participating taught me a lot about storytelling. I still fiddle with some of those book ideas and they do have merit. Just need 2 lifetimes to finish, as, like you, I wallow in slow writing. I make Nano work for me now. I just tell everyone I’m signed up to write every day in November and I actually do. I work on my current novel which I didn’t start during NaNo. I usually write over 20,000 words. Fine by me. Although I typically save everything, I tossed both my NaNo manuscripts. They had plots, but I had no idea who the characters were. 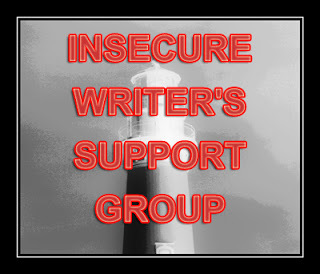 It’s difficult—for me, impossible—to add character depth (wants, needs, etc.) AFTER the story’s been drafted. Plus the writing was pedestrian. I have to start with character, and that’s tough to do during NaNo. I think Camp NaNo might be a better fit for me, since summers are often less busy than fall. When your spouse is a professor, November is not the time to disappear. November is a bad time for a lot of folks, Laurel. I read once why it was held during November, but now I don’t recall why. Awesome, Mark. Although I’m amazed there are NaNo writers who have time to listen to a talk. I barely had time to walk the dog the years I participated. Gee, how did I miss this post? I usually get them via email, but this one must have gotten lost out there in the ether. Anyhow, I doubt if I’ll ever participate in the NaNo. We usually have too many family things going on in November to make it viable, and even if we didn’t. the idea of ME producing 50K of anything worthwhile in a month’s time is laughable. I am s-l-o-w. Thanks for those links, though. I’ve already taken a quick look at a couple of them, and that’s some good stuff, lady!